When you think of family owned business what is the first thing that comes to mind? Is it the face or name of the family who owns the business? Do you think of expensive pricing? Do you think maybe family owned businesses don’t perform as well as corporations? Sometimes having a family owned business can drive away customers. They may think the company isn’t as professional and won’t be able to get the job done. Consumers may think it is more expensive because they are a small company trying to earn an income. Well, this isn’t the case when it comes to Beyer Carpet Cleaning a small family owned carpet cleaning company located in the heart of San Antonio, TX. The truth is when it comes to family owned carpet cleaning companies their prices tend to cheaper than the big corporations and they are just as professional. The big corporations get their cleaning supplies from the same local supply stores because there are only a hand full in SA. Their machines are not better quality because there are only a few cleaning machines manufactured in the US for carpet cleaners to chose from. 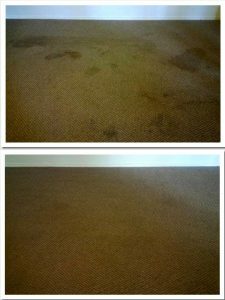 The pressure power may change from machine to machine but it doesn’t make them better or worse because the same pressure doesn’t define how clean your carpets will get just how much water will be pumped out. The actual cleaning or riding of stains comes from the products used while carpet cleaning. Some carpet cleaners use chemicals. Some use solvents and some use soaps. Big corporations and small family owned carpet cleaning companies use vans to haul their equipment and besides the name there aren’t really any differences. However, when it comes to Beyer Carpet Cleaning they sort of have an edge on everyone, the small and the big carpet cleaners. Beyer Carpet Cleaning San Antonio is not only a professional family owned business they are the best price in town. 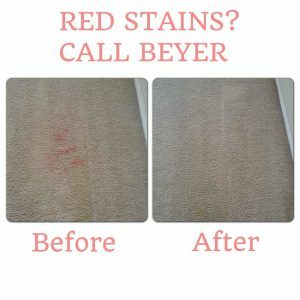 You will always get more for your money when you use Beyer Carpet Cleaning. They do not have a huge overhead cost to run their company so they are happy to pass along the savings to their customers. They know how hard you work for your money and the prices some of the bigger leading competitors charge is outrageous. Beyer Carpet Cleaning only offers fair and reasonable prices for all their customers. So wether your looking to have carpet cleaning, tile and grout cleaning, or upholstery cleaning done Beyer Carpet Cleaning is the professional small family owned company for you!